Bukhara, Uzbekistan - August May 2015: Uzbek Souvenir Dishes, Decorated With Eastern Ornament And Pattern. Фотография, картинки, изображения и сток-фотография без роялти. Image 62936022. Фото со стока - Bukhara, Uzbekistan - August May 2015: Uzbek souvenir dishes, decorated with Eastern ornament and pattern. 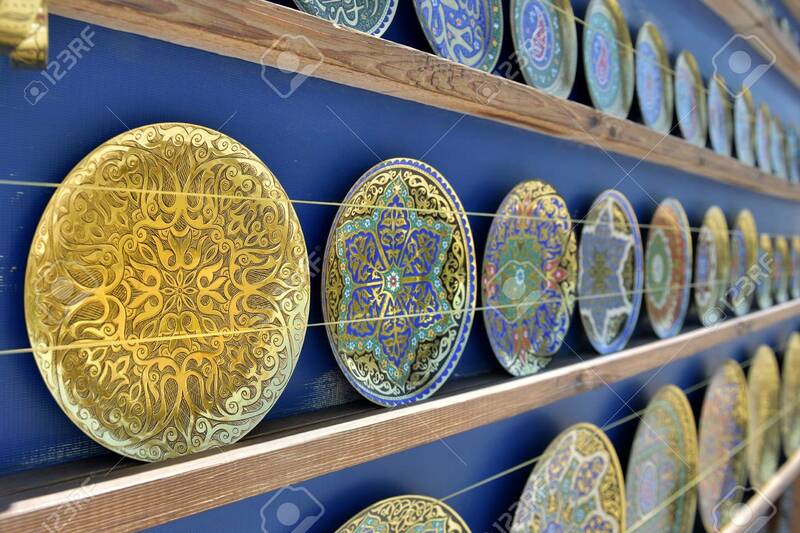 Bukhara, Uzbekistan - August May 2015: Uzbek souvenir dishes, decorated with Eastern ornament and pattern.